Chilliwack is a large agricultural community in the Fraser Valley that’s located about 100 km east of Vancouver between Abbotsford and Bridal Falls. See below for some background information about Chilliwack as well as a list of some of its most popular attractions and events. Incorporated in 1873, Chilliwack is the third oldest still existing municipality in British Columbia after New Westminster (1860) and Victoria (1862). 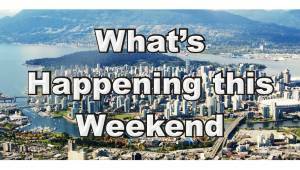 Although very rural, with close to 80,000 residents, today it is one of the province’s largest population centres and bigger even than cities like Maple Ridge, New Westminster, Port Coquitlam and West Vancouver. Chilliwack is too far east to be a member municipality within Metro Vancouver, but it is still part of the Lower Mainland. 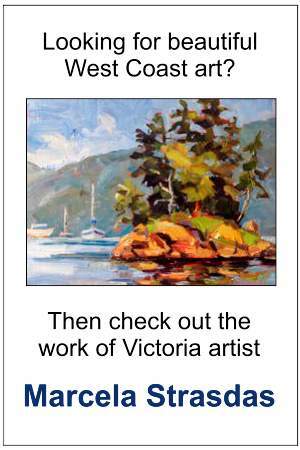 Together with places like Abbotsford, Harrison Hot Springs, Langley and Mission it makes up what is known as the Fraser Valley region. Atchelitz Threshermen’s Association Museum – a historical site that’s also called “Pioneer Village” beside Chilliwack Heritage Park. 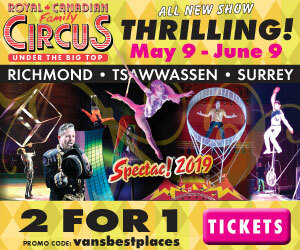 Chilliwack Heritage Park – a 65-acre park with a 150,000 square-foot building used for trade shows and other events including the Chilliwack Fair and Rodeo in August and Chilliwack Craft Market in November. Chilliwack Corn Maze and Pumpkin Farm – a farm with kid-friendly fall and Halloween-related activities at 41905 Yale Road West. Dickens Sweets Shop – a 10,000 square-foot facility that houses a candy store, teahouse and British museum at 45945 Alexander Avenue. Admission is free. Great Blue Heron Nature Reserve – a large area of wetlands on Chilliwack’s Vedder River. Fantasy Farms – a farm at 9423 Gibsons Road that hosts special events at Easter, in the fall, at Halloween and at Christmas. Bridal Veil Falls – a provincial park located 15 minutes east Chilliwack and just off the Trans-Canada Highway. Chilliwack Lake Provincial Park – a beautiful provincial park just under 50 km east of Chilliwack. Cultus Lake – a resort town about 20 minutes south of Chilliwack that’s home to the Cultus Lake Adventure Park, Cultus Lake Waterpark and a very popular provincial park. 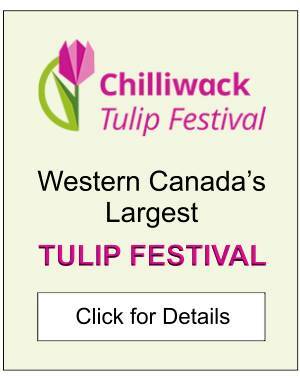 Chilliwack Tulip Festival – a large flower festival that’s held in Chilliwack in the spring. Spirit of the People Powwow – an Indigenous powwow at Chilliwack’s Tzeachten Sports Field at 46770 Bailey Road in July. Chilliwack Fair and Rodeo – an annual country fair and rodeo in August. Chilliwack Flight Fest – a one-day air show at the Chilliwack Airport in August for which admission is free. Chilliwack Sunflower Festival – a fairly new event featuring acres of sunflowers to admire and take photos of in late August and early September. Reapers Haunted Attraction and Maze of Terror – a popular Halloween attraction in October that’s located at Chilliwack’s Fantasy Farms at 9423 Gibson Road. Chilliwack Christmas Craft Market – one of the Lower Mainland’s largest craft fairs takes place at Chilliwack Heritage Park in mid-November. Metro Vancouver has a gas tax to help fund its public transit system. Municipalities in the Fraser Valley like Abbotsford, Chilliwack and Mission aren’t part of Metro Vancouver, and so stations there don’t have the gas tax. If you’re in Chilliwack or other similar communities in the region, be sure to fill up your tank. The savings can be as high as 10 cents a litre sometimes!